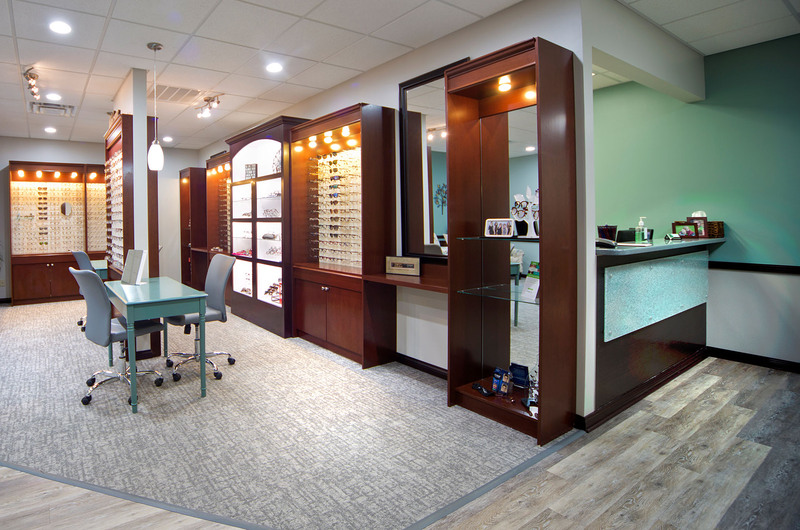 South Grove Eye Care’s new location was designed to create a boutique like experience. 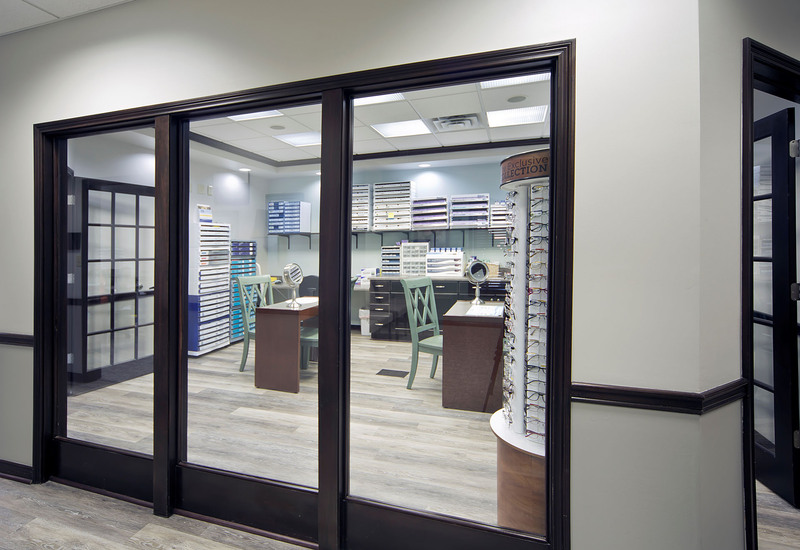 A cool color palette of soft blues and grays were combined with various wood tones to create warmth and depth. 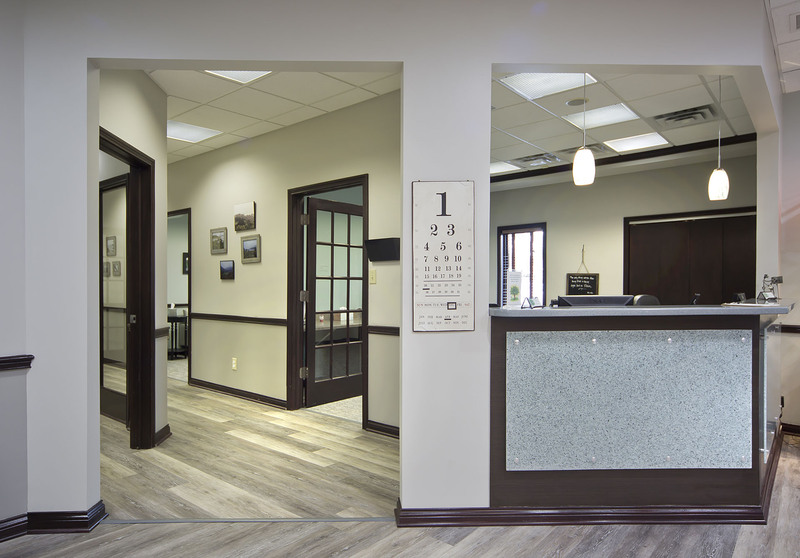 The dark stained doors and trim throughout were modernized by using a two tone neutral paint scheme in the hallways and adding recycled glass panels to the mahogany wrapped reception desks. 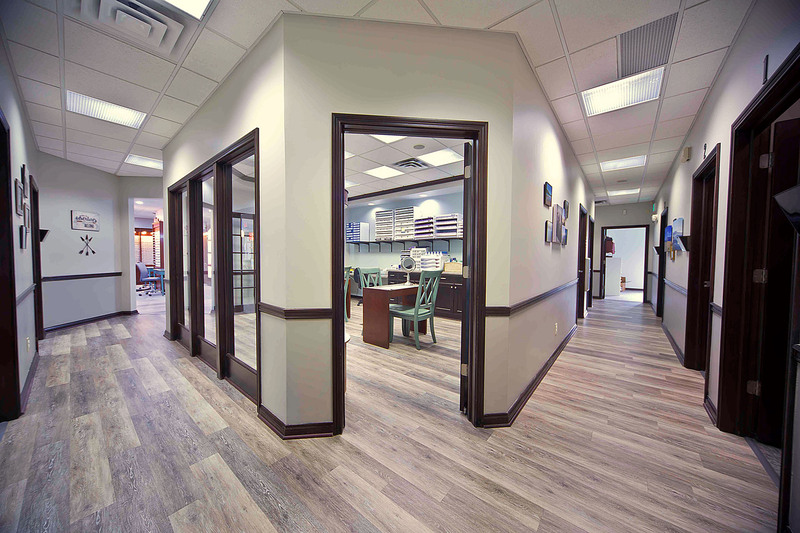 These modern elements combined with residential styled furnishings hand-picked by the clients came together to create a welcoming environment for patients and staff alike. The flow of moving patients throughout the space and through the exam process was given careful consideration. 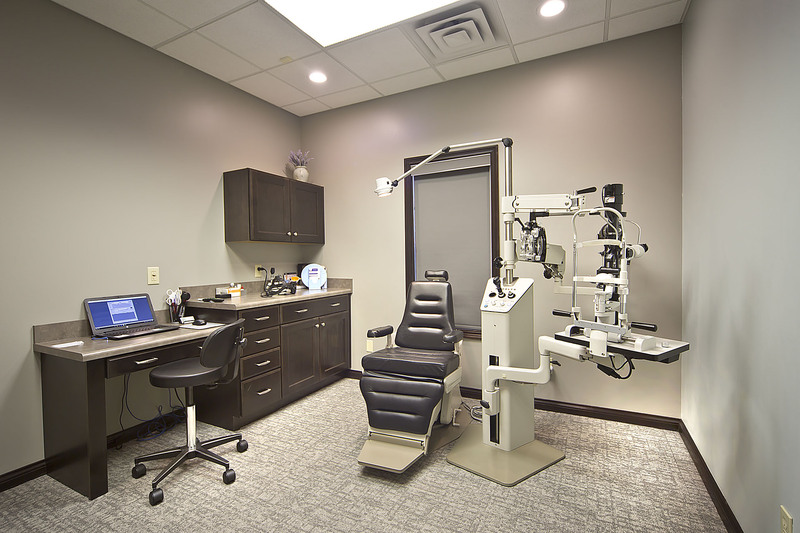 This was done by adding separate check-in and check-out desks, two waiting areas, a separate contact lens room, diagnostic room, and multiple exam rooms. 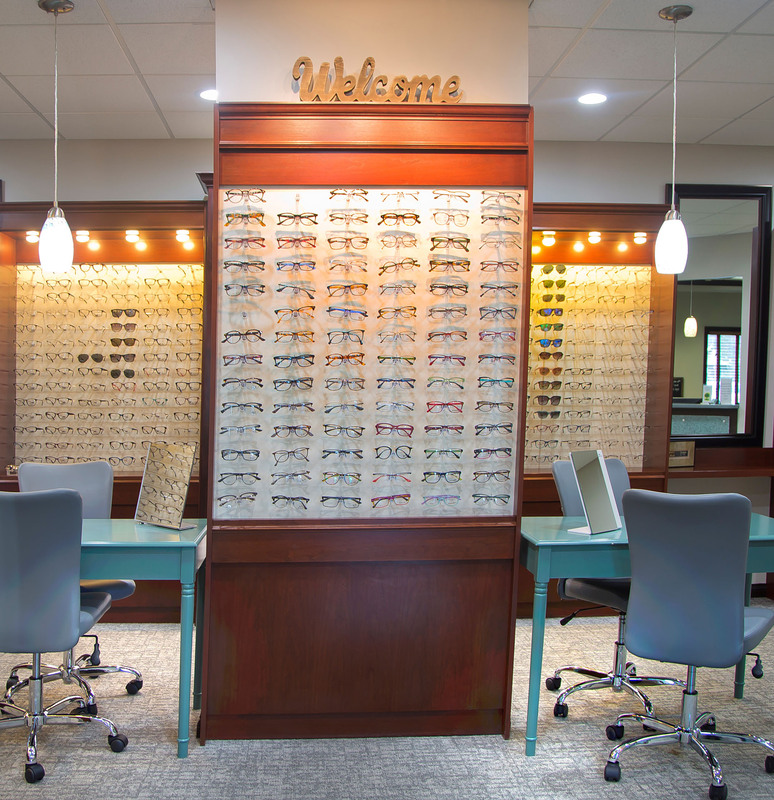 The display area was set up to create an intimate environment where people would feel comfortable trying on glasses without feeling exposed. 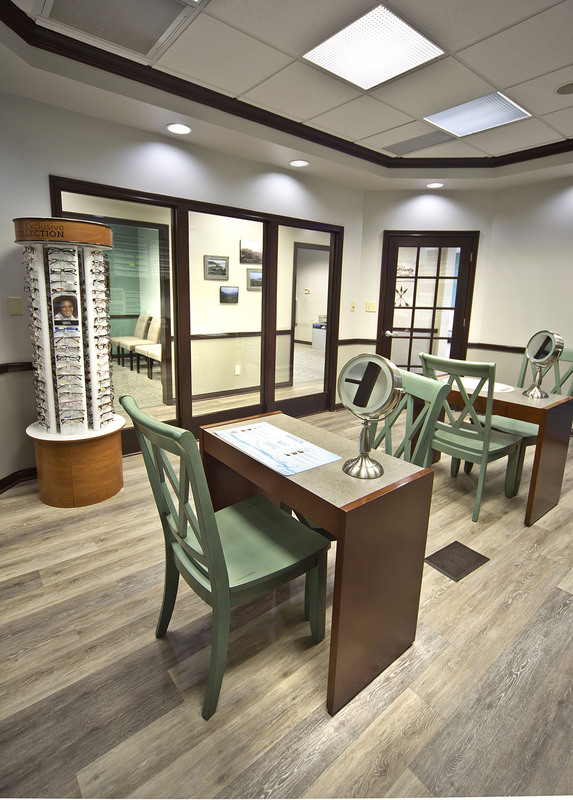 This was accomplished with the use of a central display tower, separate fitting desks, individual seated viewing areas, a custom built-in display cabinet, and a secondary waiting area with oversized arm chairs for patients and their families.